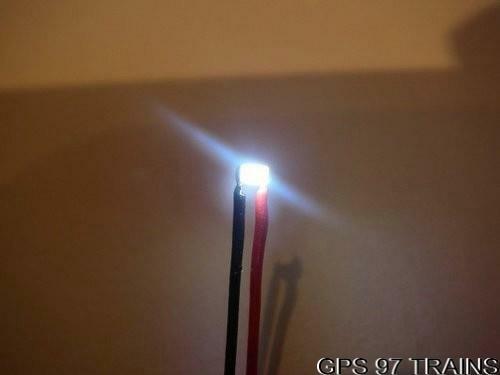 Special Features: Ready to use SMD LED in different color pre wired for 12 - 18V. The LED requires 3.2 Volt in order to start illuminating and at 5 Volt it is at full Lumen Strength. That is the same for all SMD LED's I sell. The LED's are absolutely fittable for any Z Scale loco however you need to find the room for the resistor that is already in soldered on. I have used these for replacement lights in my loco's since they reassemble a bright output and a clear illumination. Also they are really great for illuminating the track since you hardly can see them.